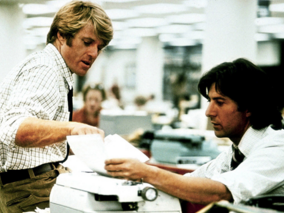 Robert Redford and Dustin Hoffman star in “All the President’s Men,” which won four Oscars in 1977. Photo: Warner Bros. The seventh annual TCM Classic Film Festival kicked off Thursday, April 28 in Hollywood for four days of screenings of classic films, special presentations and unique experiences. Some 26,000 film buffs from all over the world were expected to descend on Tinseltown for the one-of-a-kind event. 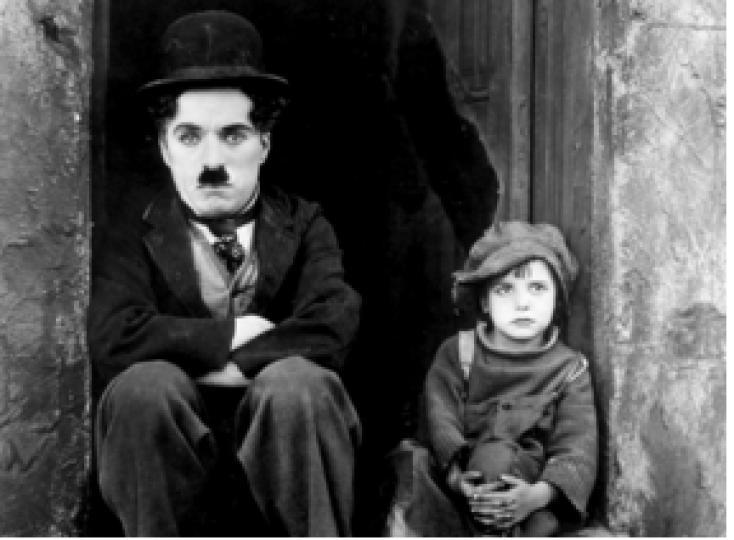 This year’s theme is “Moving Pictures,” which will range from emotional dramas about love and loss to inspirational sports-themed classics to religious fare to movies about animals. Five time Academy Award-winning filmmaker Francis Ford Coppola (“The Godfather” trilogy and “The Conversation,” which is being screened during the festival) is slated to have his hand an footprints immortalized in cement in the forecourt of the historic TCL Chinese Theatre Friday, April 29. Academy Award winner Faye Dunaway (“Network”) is scheduled to discuss her life and career at a two-hour presentation Sunday, May 1 as are Oscar nominee Elliott Gould and legendary Italian actress Gina Lollobrigida in separate “Conversations with” events. Additionally, TCM announced it is offering movie fans a host of classic movie films launch of its first ever-official fan club, TCM Backlot, which will serve as the ultimate destination for enthusiasts of the classic movie cable channel. TCM Backlot will give fans unprecedented access to all things TCM including exclusive content, never-before-seen talent interviews, archival videos from the TCM vault, an exclusive TCM podcast, as well as opportunities to win visits to the TCM set, attend meet and greets with TCM hosts and the opportunity to influence programming through online votes. TCM Backlot can be accessed at tcmbacklot.com for an $87 annual fee and will be available for fans to join on April 27, as a kick-off to the 7th annual TCM Classic Film Festival which begins the next day in Hollywood. The fan club was created in partnership with fullcube, a platform integrating and automating subscription-based businesses. The four day film festival devoted to classic films runs through Sunday, May 1. TCM Backlot will provide members with robust access to TCM content, talent, programming and events. Membership highlights include: Programming Influence. Receive an advance look at TCM programming and have the opportunity to influence the schedule of movies through contests and voting. Guest Programmer. Members enter to win an opportunity to co-host a night of movies with a TCM host. On-set Tours. Win the opportunity to tour the TCM set and watch a TCM production being shot as well as interact with TCM hosts and crew. VIP Event Access & Members-Only Events. Enjoy exclusive access to special events during the annual TCM Classic Film Festival and the TCM Cruise, as well as exclusive events at historical Hollywood sites and members-only TCM Bus Tour events. Giveaways and Discounts. Receive discounts to TCM related events, tours and merchandise as well as contest giveaways of TCM merchandise. For more information on TCM Backlot, visit tcmbacklot.com. Asian-Infused Heavy Metal Band Doc, Detour, More on Home Entertainment … plus giveaways!! !